Arsenal midfielder Mesut Ozil has announced his decision to retire from international football with Germany. 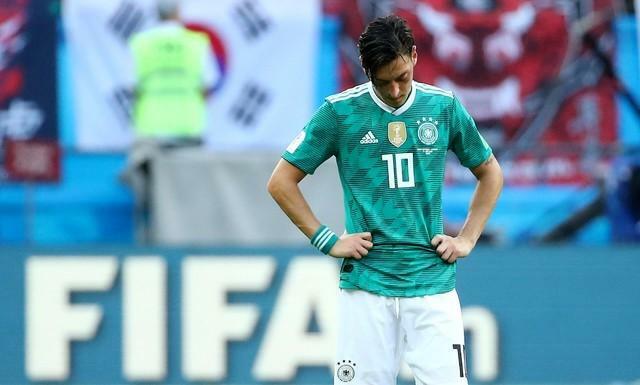 Ozil was heavily criticised by the German Football Association (DFB), media and politicians for meeting Turkish president Recep Tayyip Erdogan along with team-mate Ilkay Gundogan before the World Cup. “The treatment I have received from the DFB and many others makes me no longer want to wear the German national team shirt,” he said as part of a lengthy statement. He added: “It is with a heavy heart and after much consideration that because of recent events, I will no longer be playing for Germany at international level whilst I have this feeling of racism and disrespect. “I used to wear the German shirt with such pride and excitement, but now I don’t. “This decision has been extremely difficult to make because I have always given everything for my team-mates, the coaching staff and the good people of Germany. “But when high-ranking DFB officials treat me as they did, disrespect my Turkish roots and selfishly turn me into political propaganda, then enough is enough. “That is now why I play football, and I will not sit back and do nothing about it.